Not a big fan of the leupold slam reticle, the center circle ring in particular. The BDC circles on nikon are not high on my list either. Gun will be used for deer hunting, bdc type system would be nice, but looking like will go with a plain 2~7 sighted in at 150. Suggestions...how about the hawke.. I like the older Vortex Vipers, have a couple of 3-9's and a 2-7 with their BDC which is just dots that don't cover as much as the Nikon circles. I have never been a fan of any reticle for deer hunting other than the old standard cross hair. 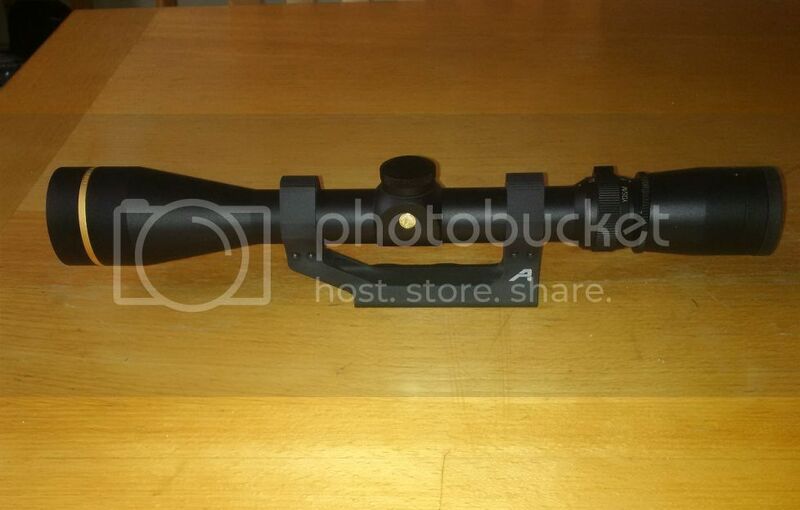 I have found that the redfield revolution series of scope are made in the same shop as leupold vx series. I have a 3-9x50 on my 450 and it has worked well so far (about 200 rounds). this will be the first season hunting with the 450 so I will be sure to post reviews after season has started. +1 for Vortex. I have a 3X9 Viper on my thumper and one on my H&R ultra slugster. They are good quality glass - clear and bright. They're usually right around $300 online. MI 450 wrote: I have never been a fan of any reticle for deer hunting other than the old standard cross hair. 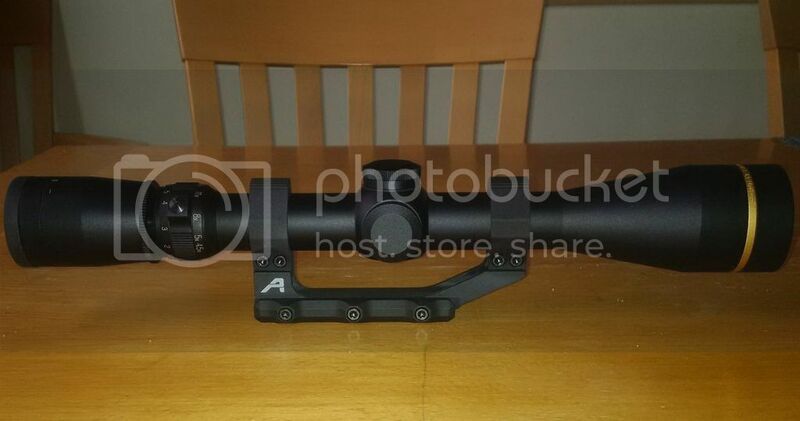 I have found that the redfield revolution series of scope are made in the same shop as leupold vx series. I have a 3-9x50 on my 450 and it has worked well so far (about 200 rounds). this will be the first season hunting with the 450 so I will be sure to post reviews after season has started. Checking in from "Charm City". Out in Baltimore visiting my Dad, who has a 3X9 Revolution on his presentation grade Browning 270. The view through them is quite unique . There is very little "dead space" between the perimeter of the image and the tube. Like a sandwich with the crust trimmed off. I have plenty of nice scopes, many more expensive than the Revolution and not one of them has so much image available. I hate scopes which boast large objectives, but have a lot of black around the edge of the view. Dumber than a mud fence! I have been pleased with the 4-12x40 Vortex Diamondback BDC that I have been testing out. I also should put in a good word on the Aero Precision Ultralight Scope Mount that is holding it on top of this Thumper. I had been using both fixed and quick detach Burris PEPR Mounts with good success but I am always looking for a product "Made In USA" so I tried the Aero mounts. Not much different in price but they are a step up in quality from the Burris ones. BayShoreBallistics wrote: I have been pleased with the 4-12x40 Vortex Diamondback BDC that I have been testing out. I also should put in a good word on the Aero Precision Ultralight Scope Mount that is holding it on top of this Thumper. I had been using both fixed and quick detach Burris PEPR Mounts with good success but I am always looking for a product "Made In USA" so I tried the Aero mounts. Not much different in price but they are a step up in quality from the Burris ones. Good to hear! Thank you for that info. At 3.1 ounces the Aero Precision mount is quite a bit lighter than the Burris PEPR mount too! D'oh! I probably should have used something "besides leupold" to show off those mounts. Sorry.